I allow MyLoanCare.in to access my credit information from Credit Information Companies (Experian) in order to understand my creditworthiness and curate personalized values for me. I hereby consent to and instruct bureau to provide my credit information to me and MyLoanCare on a monthly basis. 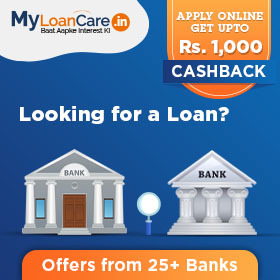 I authorize MyLoanCare.in and its third party agents to contact me regarding offers on loans, cards and other financial products and this consent overrides my number being in NDNC registry of TRAI. Why choose HSBC Bank Credit Cards? HSBC serves its customers with a various credit cards to choose from. The cards offer great reward points, privileges and benefits and can be redeemed for attractive products and services. HSBC is known for its exceptional rewards programme tailor-made to suit the needs of a shopaholic, traveller or a fine-dine connoisseur. Visa Platinum Card: HSBC Visa Platinum Credit Card is a rewards and cashback card with zero joining and annual fee. The card offers cahback, rewards and discounts on flights, dining, hotels, telecom and BOGO offer on BookMyShow. MMT Platinum Card: As the name suggests, the MMT Platinum Card by HSBC offers many travel benefits such as discounts and reward points on domestic and international flight bookings through MakeMyTrip, lounge access, dining privileges, fuel surcharge waiver and concierge services. The card also comes with exclusive Membership Anniversary gifts. Income: The minimum income of the applicant should be Rs. 20,000 for salaried employees and annual income after tax deduction should be Rs. 500,000 for self employed. Usually, HSBC Bank gives a credit limit of 2 to 3 times of the monthly income you earn. For salaried individuals, it is based on the net monthly salary and in case of self-employed individuals, it is based on the income declared in IT return filed for the last financial year. In case you have an existing credit card from HSBC Bank or from any other bank, then HSBC Bank will not check your income and your credit card eligibility will be checked based on existing credit card's transaction history. 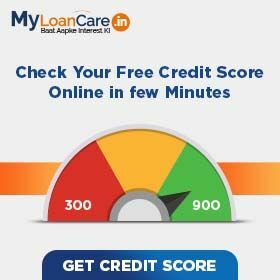 CIBIL Score: Most banks, including HSBC Bank prefer a credit score of 700 and above before sanctioning a credit card for you. A lower score reduces your chance of getting credit card approval. A high credit score would allow you to get an easy approval on credit card. If you already have a credit card then HSBC Bank checks your existing credit card's transaction and payment history to ensure that you are capable to make repayments on time. Existing Relationship with HSBC Bank: If you already have an account with HSBC Bank, you have a higher chance of getting a credit card. HSBC Bank comes with special credit card schemes for its existing bank holders which would mean higher credit limit, waiver or discount on joining fees and annual fees and special promotional offers as a joining pack. In addition, if you have been maintaining a good balance in your account consistently over the , past few years, you are more likely to secure a higher credit limit on your card. Age: Bank has different credit cards targeted at different age groups and income groups of borrowers. You can apply for a credit card from HSBC Bank if you are at least 21 years old upto maximum age group of 60 years. However, the minimum age to get a credit card from HSBC Bank varies by various schemes depending on the card your choose to apply for. The type of documents required differ for new and existing card holders. Existing credit card holders are those who already own a credit card either from HSBC Bank or from any other bank. In this case, income documents are not required. How do I apply for an HSBC credit card? After submitting the form, you will get a call from HSBC’s representative who will assist you throughout the process and fix a meeting with the representative for documents collection. You can also apply offline for HSBC credit card by downloading the application form and submitting it to the nearest HSBC branch with the required documents. You can even apply for HSBC credit card through an SMS and one of the representatives will call you and assist you through the process. How do I check my HSBC credit card balance? How do I activate my HSBC credit card? By Personal Internet Banking: Log-on to Internet Banking, click on 'Activate new card' and follow the instructions. What is the eligibility of HSBC Credit Cards? To qualify for a HSBC credit card, the following eligibility criteria should be met by an individual. The applicant must be at least 21 years of age. Minimum annual income should be INR 4,00,000 for self-employed as well as salaried applicants. In a bid to make its online transactions safer, Citibank has introduced the launch of a new safety feature, ‘Quick Lock’ feature on its credit cards wherein the credit cardholders can ‘Switch on/off’ the transactions on their cards. Using this facility, the credit card holders will be able to block unauthorised transactions without taking the help of Citibank credit card customer care. Private sector lender, Axis Bank is offering the facility wherein customers can withdraw cash at the respective bank’s ATMs without using their credit or debit card. The facility has been provided by the bank under the name ‘Instant Money Transfer’. The withdrawal of cash can be done from any Axis Bank ATM or ATM of the select partner banks. Industry experts suggest that taking a loan for a vacation is an optimal solution for meeting your unplanned travel expenses. This is because it offers you an advantage as one does not need to break his long term fixed deposits (FDs) or over utilizing credit cards. Even these personal loans, comes with a lower rate of interest than those offered by credit cards. SBI has collaborated with Air India to come up with a credit card for frequent flyers. The card offers many benefits like special rates on booking tickets, joining points etc. You can also make purchases with this card and earn reward points which can be redeemed for ticket purchases with Air India.